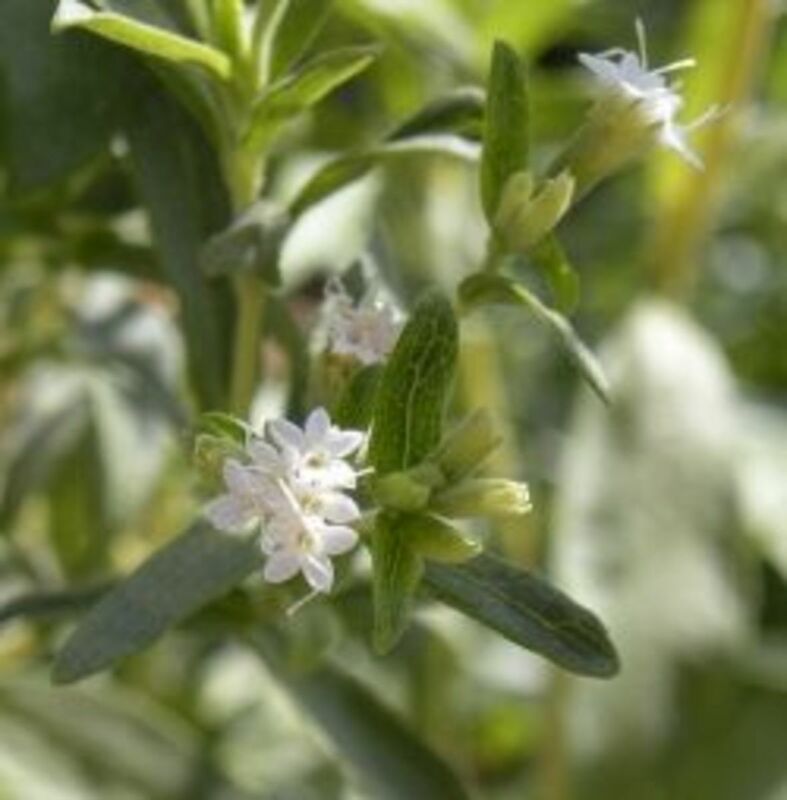 Stevia is a perennial herb that has been grown in South America for years for it's ability to sweeten just like sugar. It can be consumed without raising blood glucose levels and has zero calories. It is often referred to as sweetleaf, because the leaves of the plant are used in sweetening, but the branches can also be ground. Stevia makes a good sugar substitute for both diabetics and those that would like to lose weight. In Japan it is even used in their Coca-Cola products. Japan outlawed the use of other sugar substitutes, because the chemicals in them were considered dangerous. Since it is an herb, it is safer to use than the chemical sweeteners the US is now using to sweeten foods. The US has been slow in approving stevia as a food additive, but it has been available for awhile as an herbal supplement. Since the time I first wrote this hub, I've heard that they are in the process of approving it. The best news is that stevia may lower blood sugar and blood pressure. This means diabetics can use a sweetener that is actually good for them. I recommend trying stevia before you try growing it. It can be purchased in most grocery stores in packets, as a liquid, and even a 5 pound bag like sugar. Online it can be found in several flavors including orange, vanilla, and chocolate. The flavors don't need to be used, because stevia is good on its own, but I've heard they taste good. My best advice for using this sweetener is "easy does it." I use only 1/4 tsp of the ground stevia for my morning tea. The bag we purchased is suppose is equal cup for cup to sugar. Most stevia can be much sweeter than sugar, as much as 300 times sweeter. I find it tastes good in low doses. You'll need to adjust recipes. Some people claim that it leaves a bitter taste in their mouths. I have found it to taste quite pleasing. I think the difference might be how much stevia you add. Like I said, "easy does it." It tastes better as a substitute for sugar with drinks and cereals. My daughter-in-law tried making candy with it and it tasted terrible. We haven't tried baking. After reading about stevia and hearing that I could grow it in my Zone 5 garden as an annual, I went online to search for the seeds. My quest found that the seeds need to be started early indoors in my area and they are hard to germinate, I read a review from a beginner gardener that was able to do it, so it is possible. Plants are suggested for a good start. 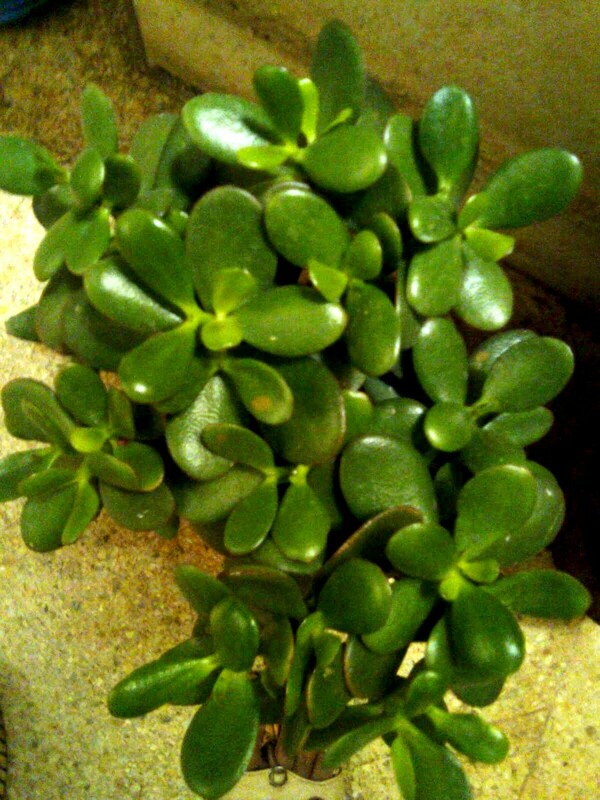 Most plants online are offered at around $5.00 each and that sounded a bit pricey to me. When I visited the greenhouse to puchase tomato plants, I couldn't believe my eyes when I saw stevia plants for $2.99 each. I only purchased 1 and thought I'd give it a try. The leaves can be picked fresh and added to hot beverages, but the plant's is at it's strongest right before the flowers bloom. I asked on a gardening group if anyone had tried growing stevia and I was disappointed with the answer that one plant would only yield about 1/4 of a baby food jar of the crushed and dried plant. I would have leaves to sweeten my drinks for the summer, but I wouldn't have much for the winter. It was fun picking a fresh leaf and using it every morning. I still recommend growing the plant. Stevia shouldn't be placed outside until all danger of frost has passed. Many recommend planting stevia in containers, because the plant has shallow roots and needs to be kept watered. At the same time the plant doesn't like to be too wet. Placing it on a sunny patio would help remind you to keep it watered. It can be grown in the garden and does well in raised beds too. Place the plants 8" apart after all danger of frost has passed and the soil has warmed up. The plants like to be grown in sandy soil for good drainage and like a neutral PH. In northern states the plant should be grown in full sun, but in the south they need a little shade in the hotter months. Because the roots of this plant are shallow, you should mulch around them to keep moisture in. If you aren't getting enough rain, be sure to keep them watered. Never overwater. Using a drip or soaker hose is best. Use a high nitrogen fertilizer or use composted soil from your compost pile. A bag of composted cow manure from a discount store would work fine too. Adding Boron to the soil will help the stevioside content to be higher and this will make the leaves grow even sweeter. In the summer months, you can harvest the leaves for immediate use, but always be sure to leave the inner branches alone so the plant continues to grow. Harvesting should only be done lightly leaving leaves so the plants can keep growing. For fall harvest, wait until buds form on the plant. Pick before the plant flowers, because this is the time stevia will be at it's strongest sweetness. Harvest the entire plant at once. Stevia is in the Aster family, so this will be about September or October. 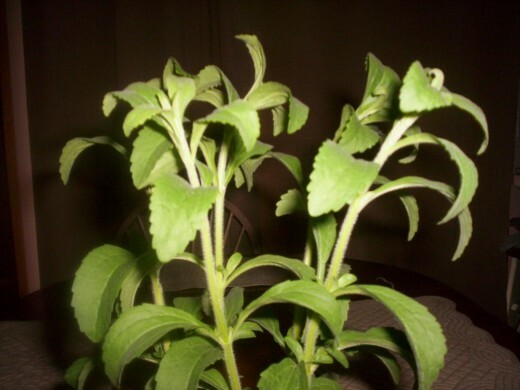 The stevia will need to be dried or made into a liquid to preserve it. Dry the stevia and finally grind the leaves. You want a very fine powder. The food processor or coffee grinder will work. If the stevia still isn't fine enough, use a fine screen and work it through. Prepared this way, it will work well for sweetening drinks. There are many recipes online to use. Just search for stevia recipes. Use only 2 to 3 tsp of the herb to 1 cup of sugar. If you would like to make the stevia into a liquid you will need to use powdered stevia. Use the link below. There are different processes recommended. I just use the powdered stevia. Some people may find the liquid works better for them. Stevia is a perennial in South America. When your plant is finished outdoors and a frost is on the way, you can repot the plant. It may at this point look dead, but the roots are still alive and thriving. Bring it in the house and keep watered in the same way the rain would outdoors. 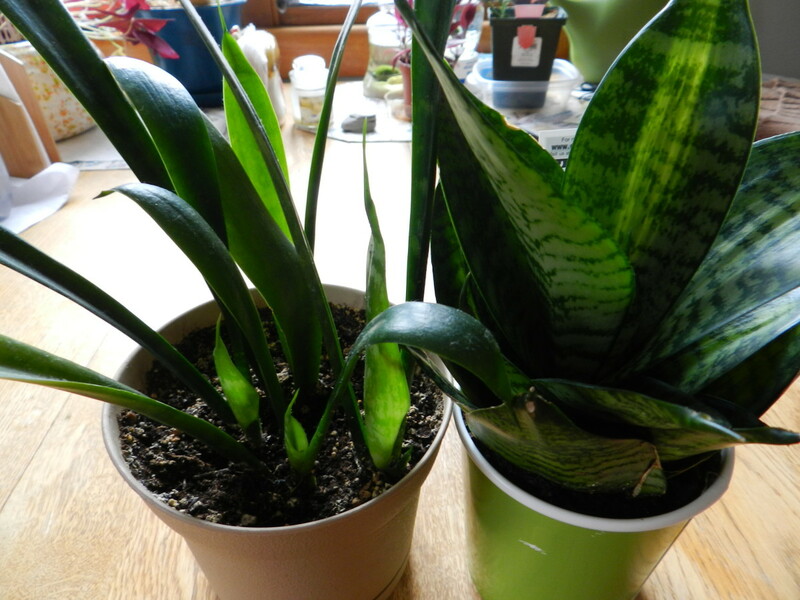 The plant will turn green again. Remember that it likes lots of sunlight. 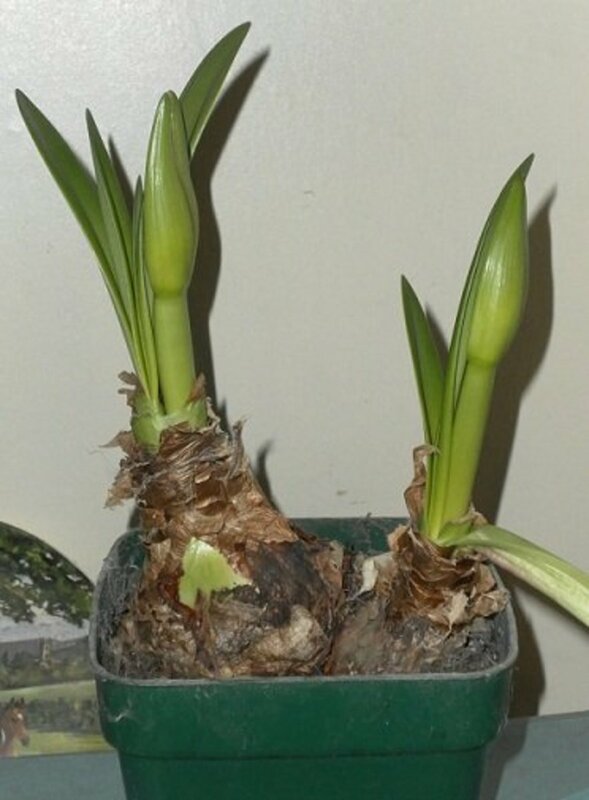 The plant may even go into another dormancy stage and turn brown again. Don't give up on it. Another method to start new plants is to take tiny starts from the branches and place in pots. Keep these watered until they root and keep under grow lights for the winter. You may even want to save your own seeds, but this isn't recommended. The seeds will only have a 10% germination rate which is poor. 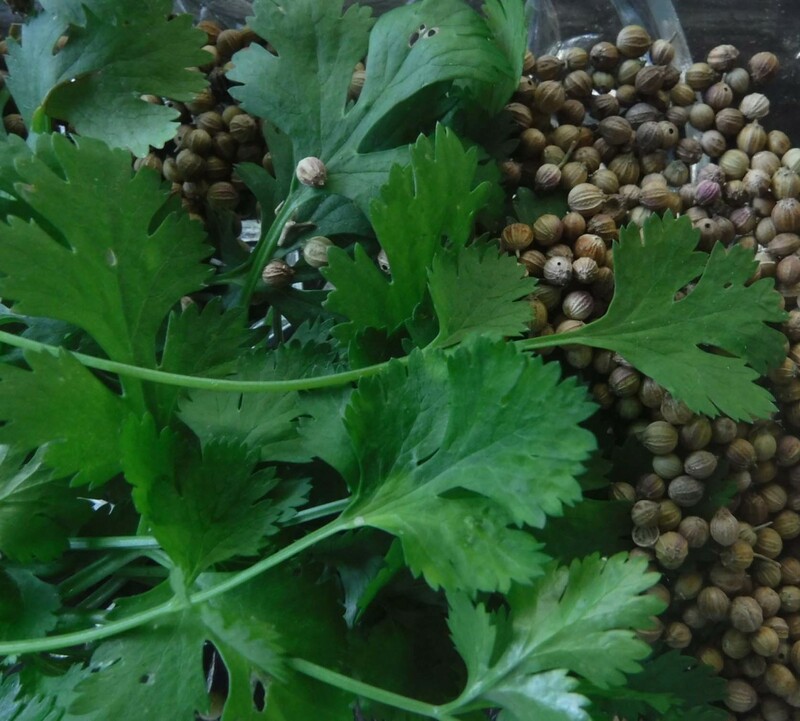 The plants grown from these seeds will also produce plants with variable sweetness. If you haven't tried this sweetener, now is the time to do so. It may even help prevent tooth decay. If you enjoy it, purchase a few plants at the local greenhouse or purchase them online. Several gardening sites offer them. poonam, I found my at the greenhouse. There are sources online also. starstream, That is all I use too and it is sweet enough. It seems expensive when you buy a package until you see how far it goes. I enjoyed using it fresh is why I like growing it. Thanks for commenting. I don't use sugar anymore in my ice tea. A tiny spoonful... about an eighth of a teaspoon of stevia is enough for me to sweeten an eight ounce glass of ice tea. It is tasty. I actually would not grow the plants myself since our local health food store offers the powder form for everyday use. I did enjoy your article and think more people should try stevia. Carol, The stevia was easy and I enjoyed it fresh too. Thanks for commenting. I didn't know you could grow stevia. I am going to look into this as we use a lot of it. Great hub. moonlake, Thanks for reading and voting up. You'll have to try it. Gottabegod, Stevia isn't hard to grow. I like to use the fresh leaves in tea in the mornings. Thanks for reading the hub. I have been thinking about growing Stevia. We began using the sweetener about 6 months ago, in place of artificial sweeteners. Good information & thanks! Julie, You just cut off a leaf and put it in the tea. If you have a tea ball that would work best, but you can just take it out with a spoon too. To me it tastes best if I don't make it strong. Flickr, I'm afraid that some of the sweeteners stay on the market due to how much money some of these corporations have. I won't remark farther than that. I agree that stevia has a different taste. When adding it to drinks, I like it if I go easy, but we tried using it in candy making and we didn't care for it. Thanks for commenting and thanks for voting it up. Very informative hub. I find stevia has a unique taste to it. I was unaware of the zones that stevia grew in, and it really tells us something when other nations ban/outlaw particular things such as artificial sweeteners and yet America has failed to do so...Great hub, voted up lots and lots. bangingbeauty, You can purchase this in most grocery stores now, so you don't have to grow it. 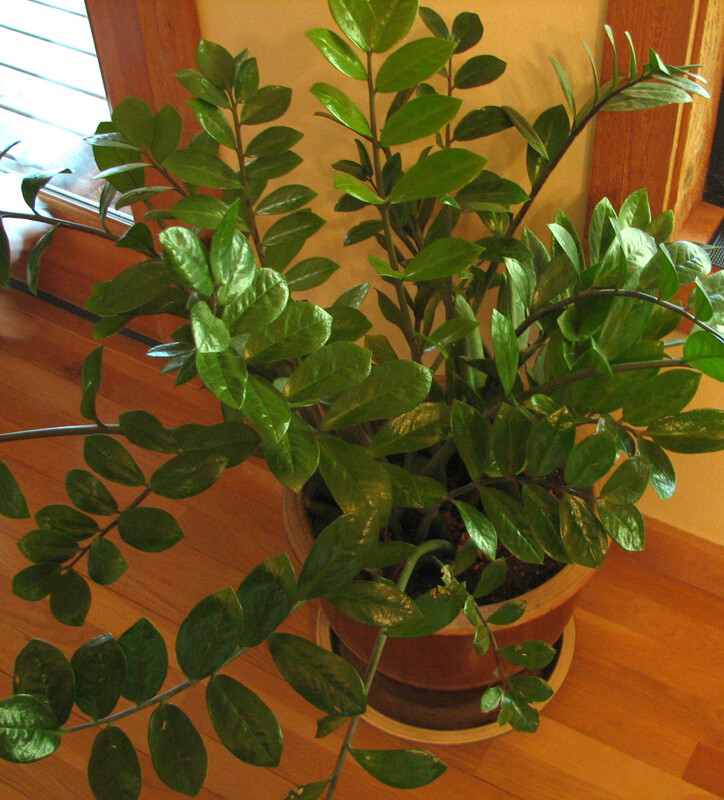 It can be grown in a pot in your house as a house plant though if you have a sunny window. Thanks for commenting. I love stevia as an alternative sweetener. It's too bad I do not have a garden. Cheers! vocalcoach, Thanks for reading the hub and commenting. Even if you grow the stevia yourself, you will still need to purchase it. Once dry it doesn't add up to much. I like to use the leaves fresh. They have a nice taste, but not as strong as the dried. If using the fresh leaves, you need to leave 4 center stalks in place or just use top leaves. pa726, Thanks for commenting. Let us know how your stevia is doing. Multiman, I think you'd do better purchasing plants. They say the plant is hard to propagate from seeds. Thanks for commenting. Wow, I gotta go now and get some seeds and/or plants! Great article voted up! I'm growing Stevia right now (in South Carolina). Thanks for the great info! chspublish, I got my seeds easily enough from searching on the Internet! Bard, I am going to try that and see if I can keep it going. chspublish, You should check the greenhouses in your area. These plants are becoming more popular all the time. You might be surprised to find one. What a great hub, Barbara. I do hope the big manufacturers switch to the use and benefits of the great little plant. I'm not sure where I can get the seed here in this country, but I will certainly try after reading this hub. A great idea! Yes, I like eating them off the plant too! In my experience the plant dies right back but all grows again from the rootstock. Thanks Bard. This is my first year and I've noticed the leaves taste good even to eat plain before they are ripe. Thanks for the vote. I have this wonderful plant growing in a large pot on my balcony for the second year! Great hub that I have tagged as useful and voted up! b. Malin, It is a perennial, but only in the warm zones. It is an annual is most zones. Sorry. Thanks for reading the hub. Very interesting Hub on "Stevia". Barbara, you say in the beginning of your Hub that it is a Perennial Herb, so it should come back each year? If so, that a pretty good deal! I've had plants come back that aren't suppose to, but they do! Thanks for sharing, I'm going to look for it too at the plant nursery. Cardisa, Maybe you could get some seeds. They don't germinate well, but if you could just get a couple of plants going you could go from there. I would think the stevia would grow as a perennial in Jamaica and would come back every year. Thanks for reading the hub. I'd like to try growing it but I don't think I can import the plant, I may have to try getting some seeds. I really need to cut down on sugar but hate artificial sweeteners. Since this is natural I want to try it. Spirit Whisperer, Something that I didn't mention was that Stevia is safer than Splenda since it is a natural product rather than made with chemicals. The one price at Amazon is really high. Thanks for commenting. Wow, I am very impressed with the information in this hub. I have been a sugar addict all my life and only in the last few years did I switch to a sweetener called Splenda, do you know it? This plant is definite for next year if I can get find any in my neck of the woods. I was surprised by the price of the Amazon products but as you say it does last longer. Thank you. Voted up. lilibees, Thanks for visiting the hub. If you haven't tried stevia, be sure to do it. I like it. Wow very neat idea, great hub thanks for sharing! !